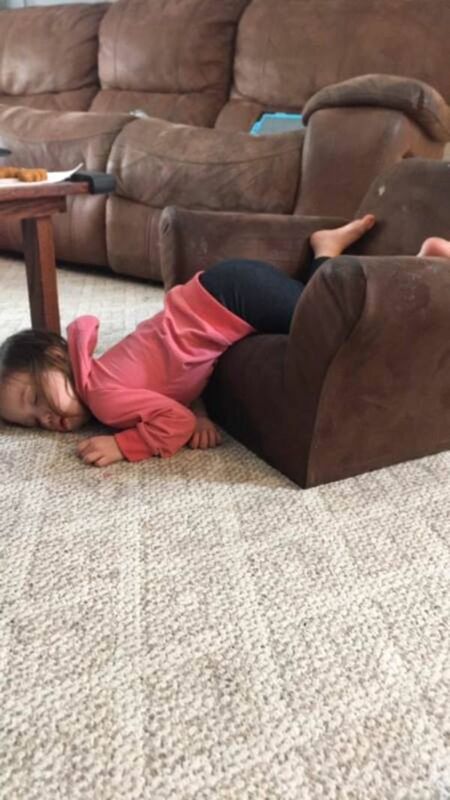 Though kids are notorious for keeping their parents from sleeping, they can apparently pass out almost anywhere for a quick snooze. 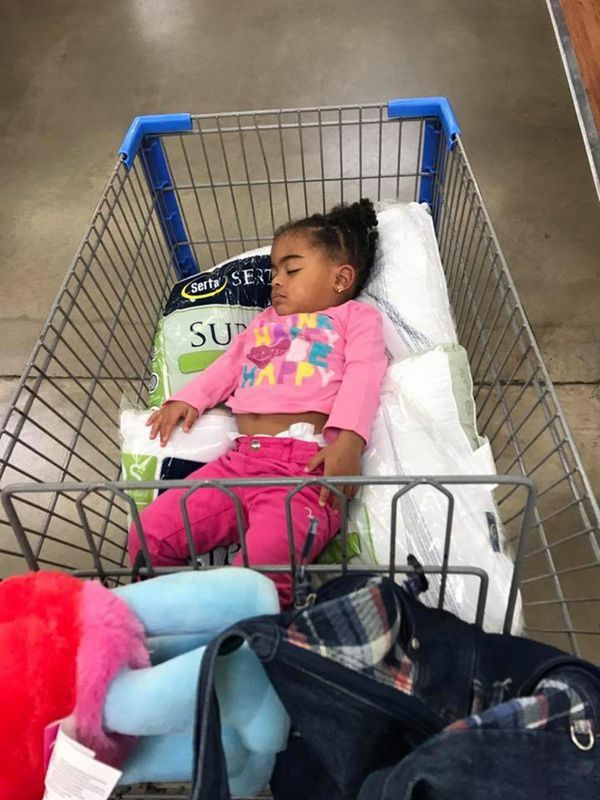 Whether they’re at the grocery store, at a restaurant, or just in the hallway, many kids seem happy to make due with wherever they are to get some sleep. My son on New Year’s Eve. On the ground outside Magic Kingdom with a pillow of cotton candy. 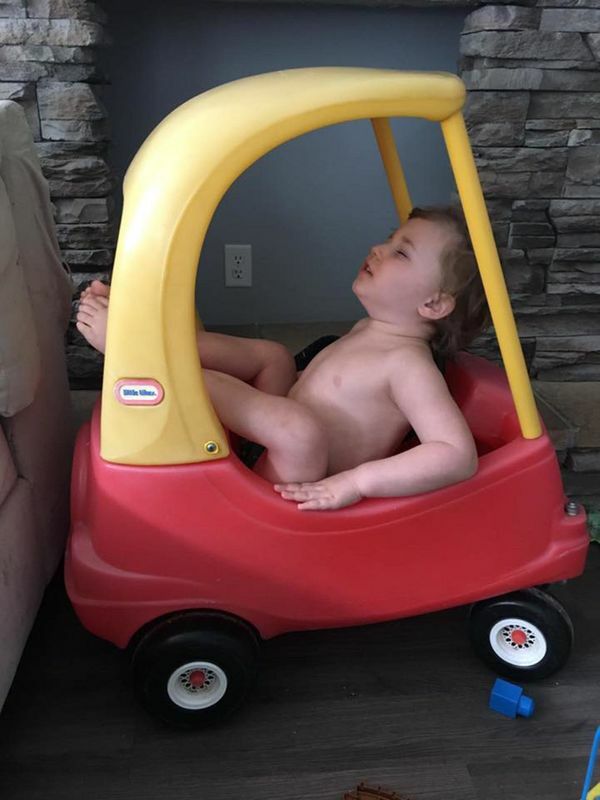 She won’t sleep for me, driving around in a car doesn’t work, cuddling — nope, but leave her with a babysitter and I get photos like this. 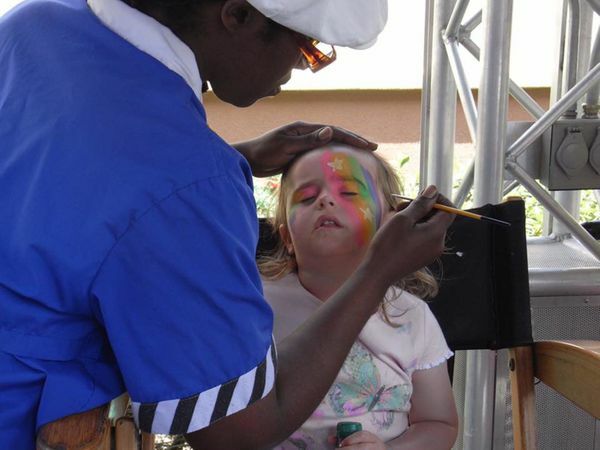 Disney World in Florida — we flew from Ireland. 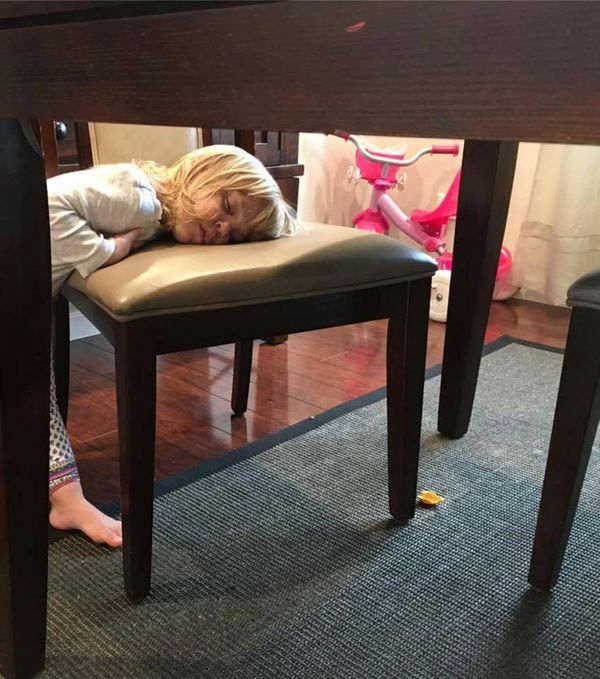 When she was little she could fall asleep anywhere — this was just one of the places! 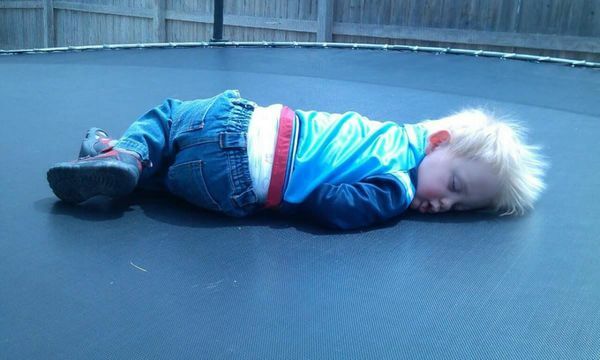 Jumping on the trampoline is hard!! My husband sent this to me shortly after I went back to work, still cracks me up! 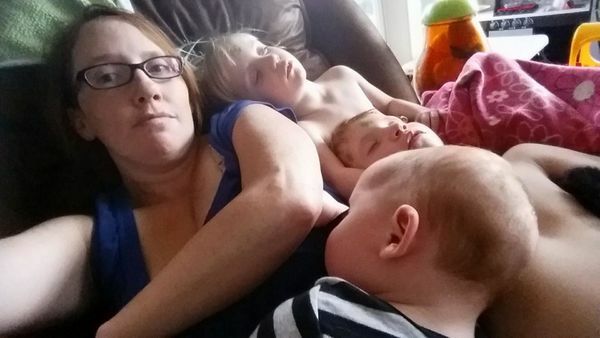 She was a chronic non-napper until she hit this age, so it was totally unexpected for my husband! Dozing off behind the wheel. 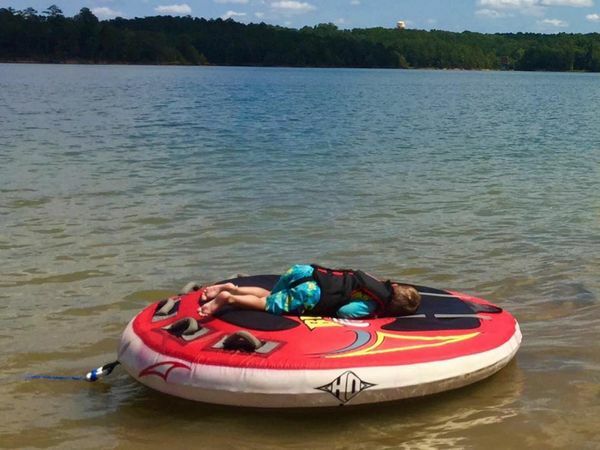 On our lake vacay in South Carolina. 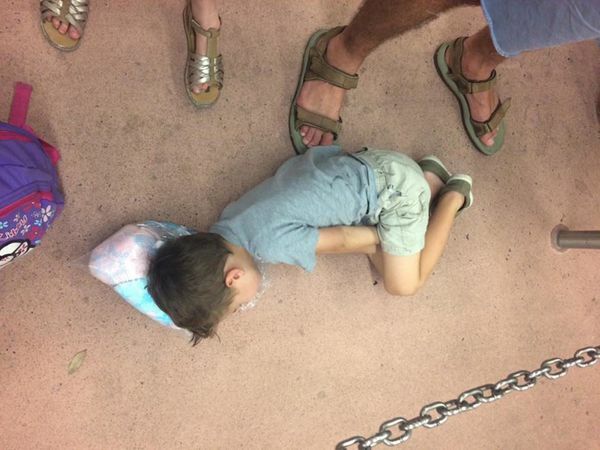 We pushed him into the shade and our little fish took a 3-hour nap. 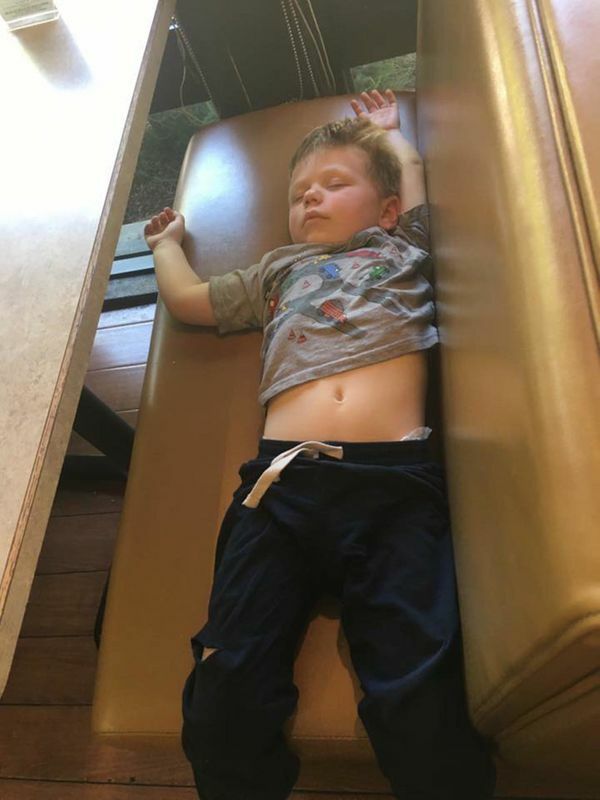 He couldn’t even stay awake at the ice cream shop, poor thing. My baby boy said he was going to play and fell asleep on a box in the hallway. 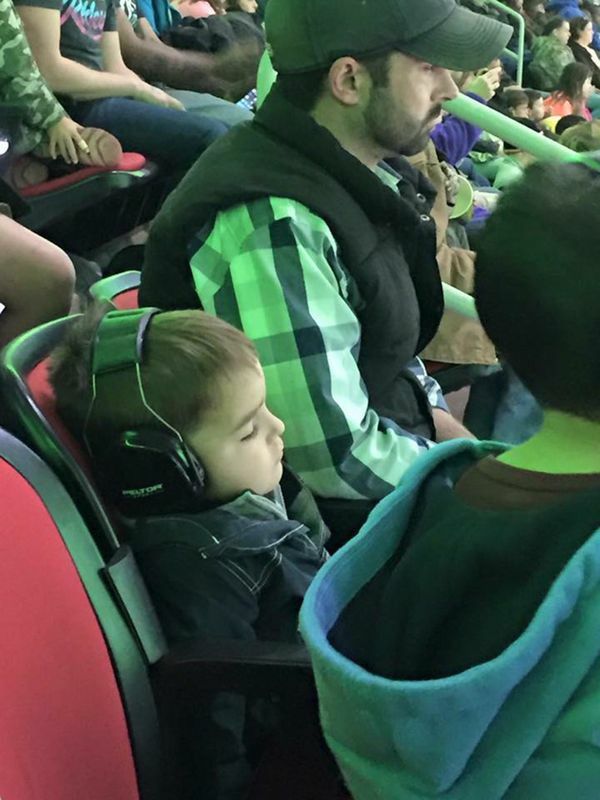 Monster jam rally. At the end, when the trucks go all out. Sydney Airport, on the way to a USA holiday. 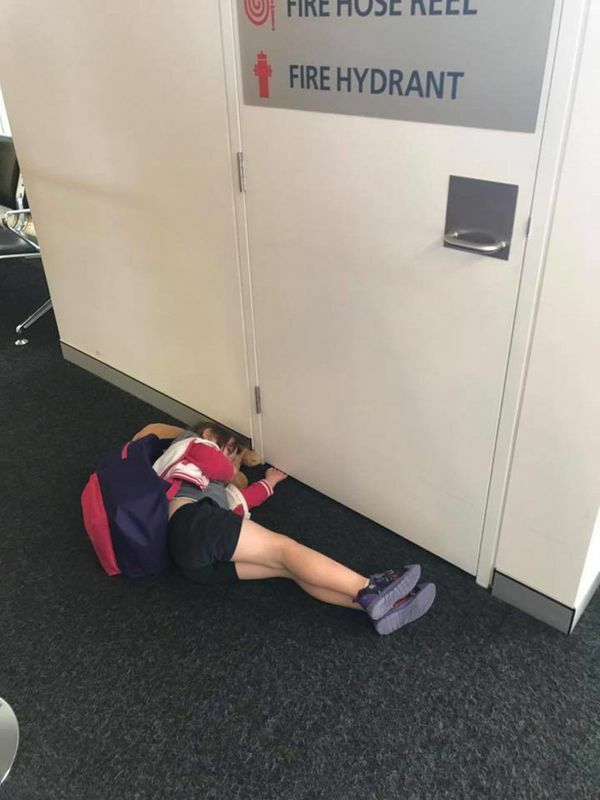 My 5-year-old decided to sleep prior to the 14-hour flight and not much during. 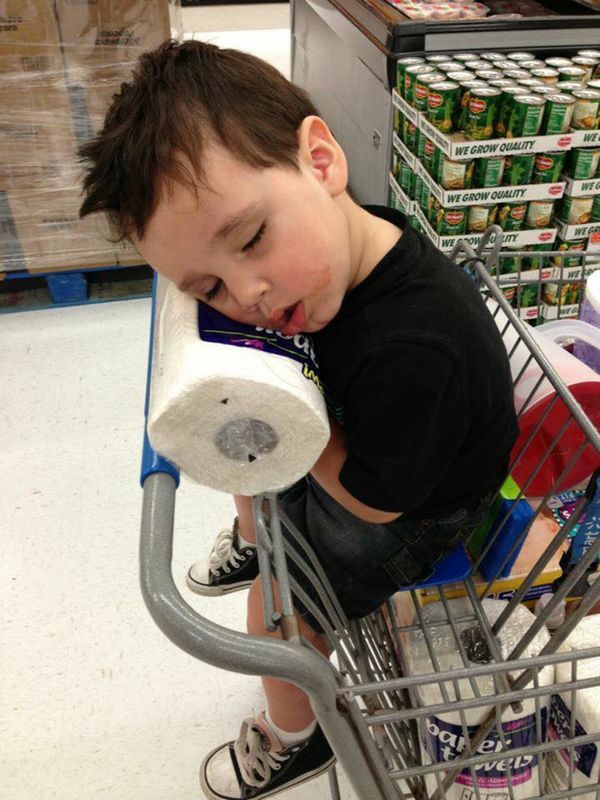 We took too long grocery shopping, but my husband tried to make him a little more comfortable by providing the paper towels. 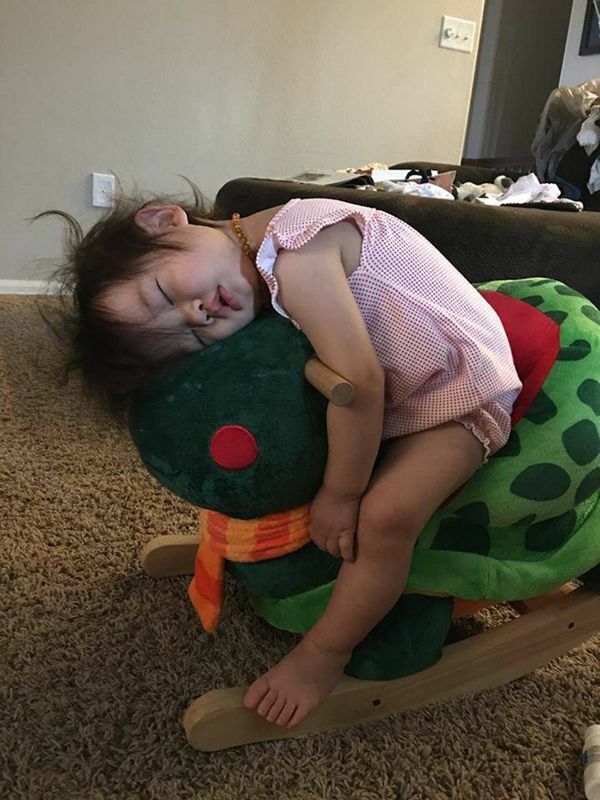 My daughter had her own social media hashtag for all the random places she would fall asleep. 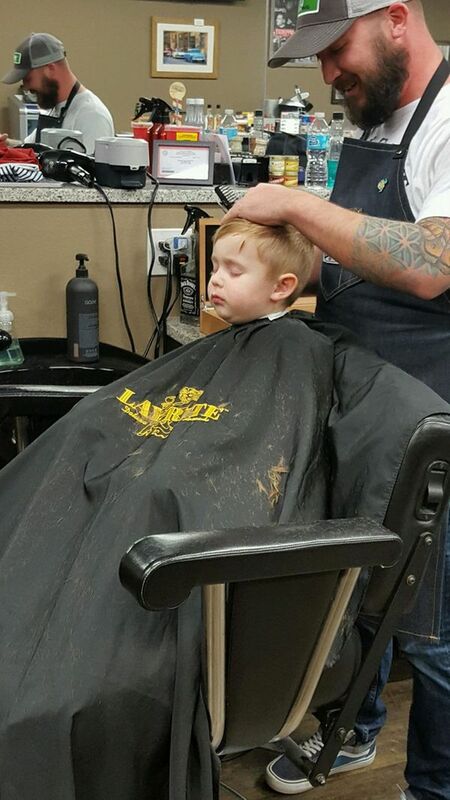 He fell asleep getting his hair cut and had everybody in the shop laughing! 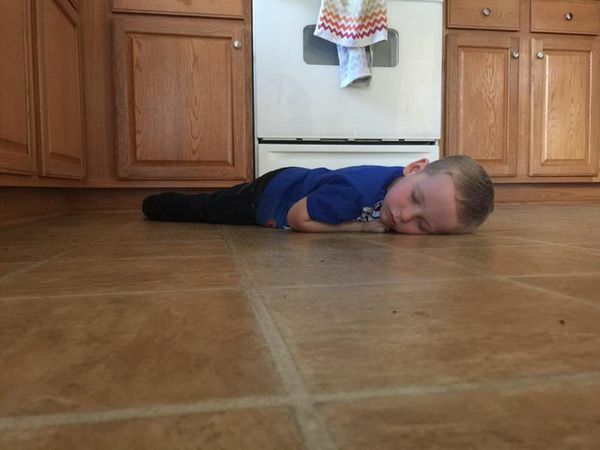 On the kitchen floor, after his 3rd birthday party. 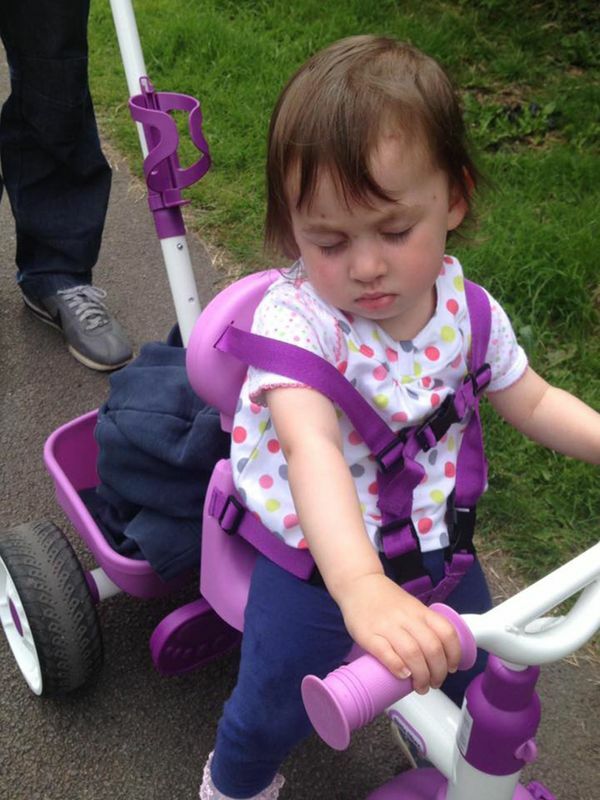 Fell asleep riding her new trike! 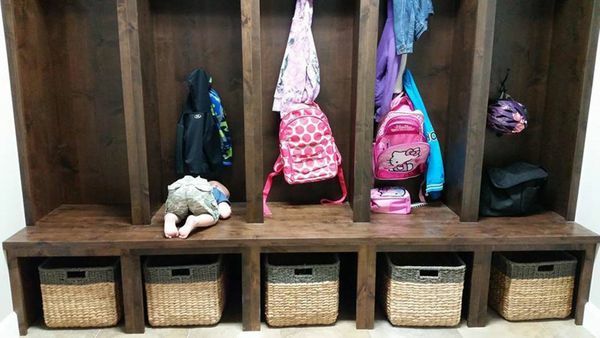 He made it into his cubby. 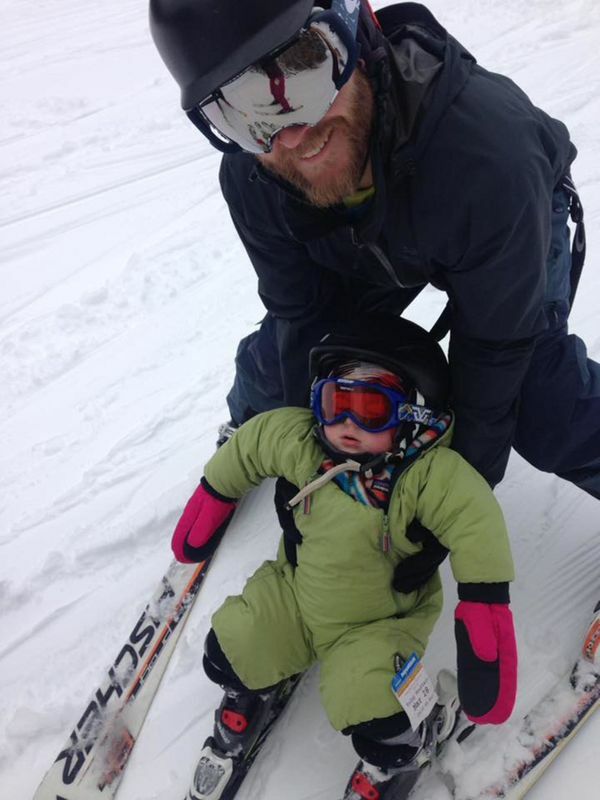 His first time skiing, while going down the hill! “Stand up buddy…Leo? 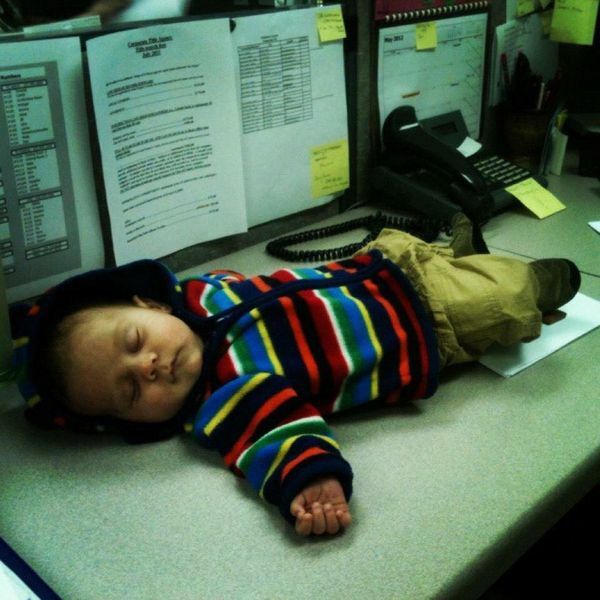 Leo?” He was snoozing away… he just didn’t want to stop. 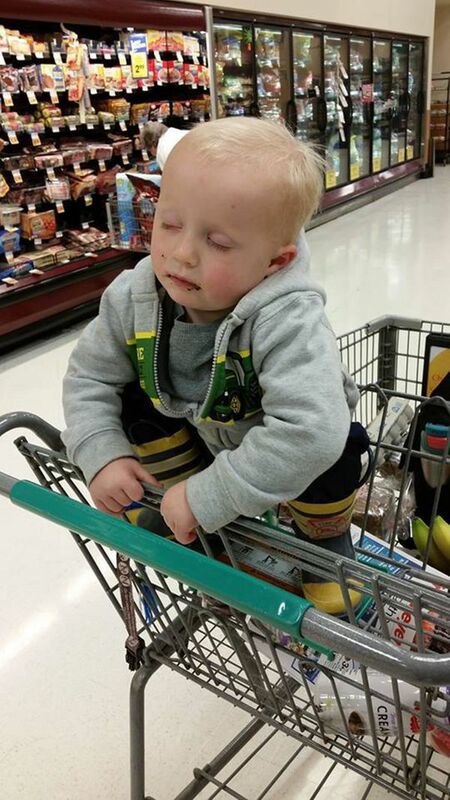 My son falls asleep in a lot of random places! 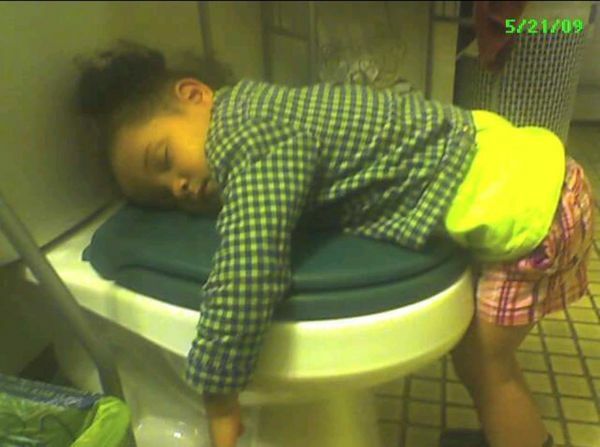 Who sleeps squatting!? 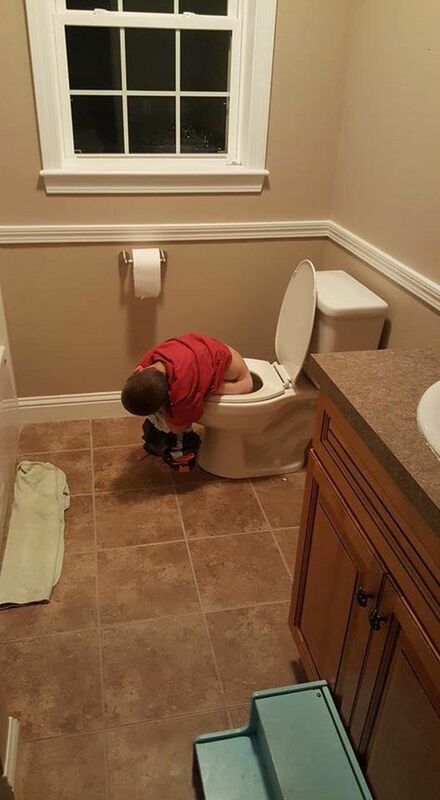 Almost made it! 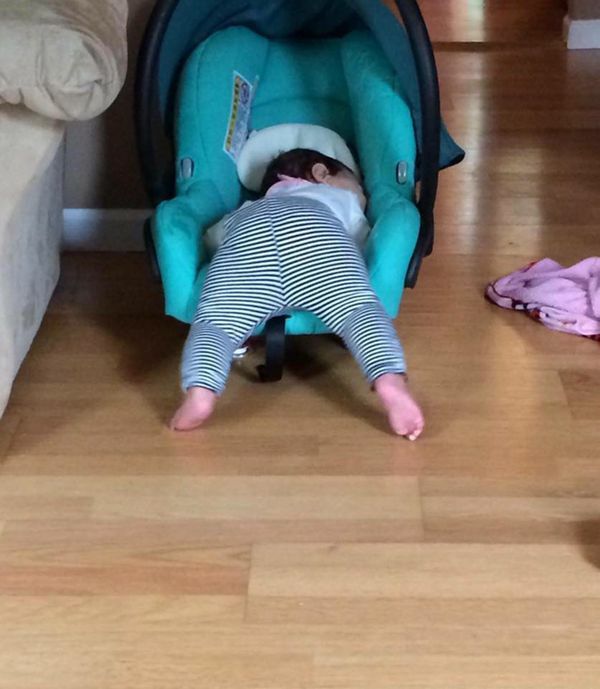 We were waiting to go pick her brother up from school, and she crawled over to her car seat and passed out! One of my faves. 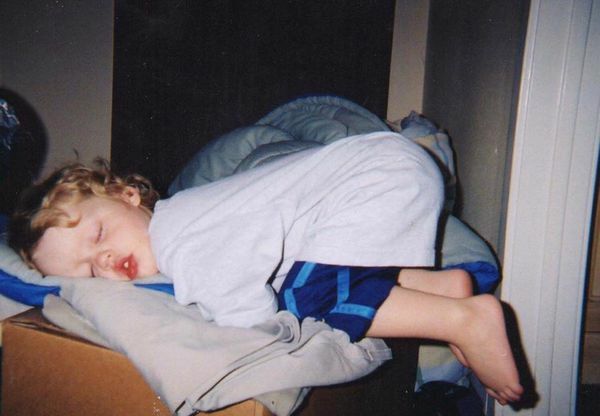 An old but priceless pic of my second son. 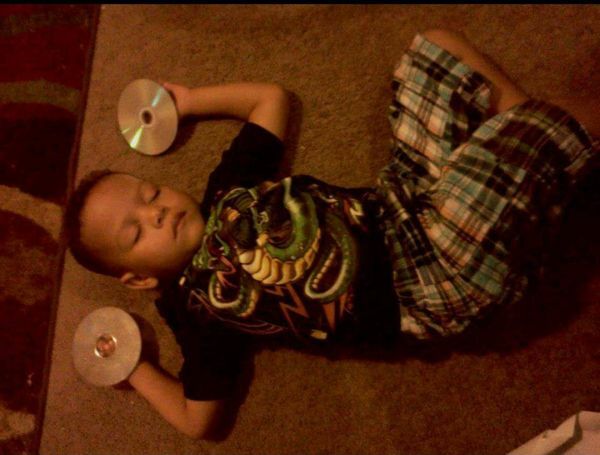 He was about 4 years old here. He was playing, getting in and out and hiding from me. 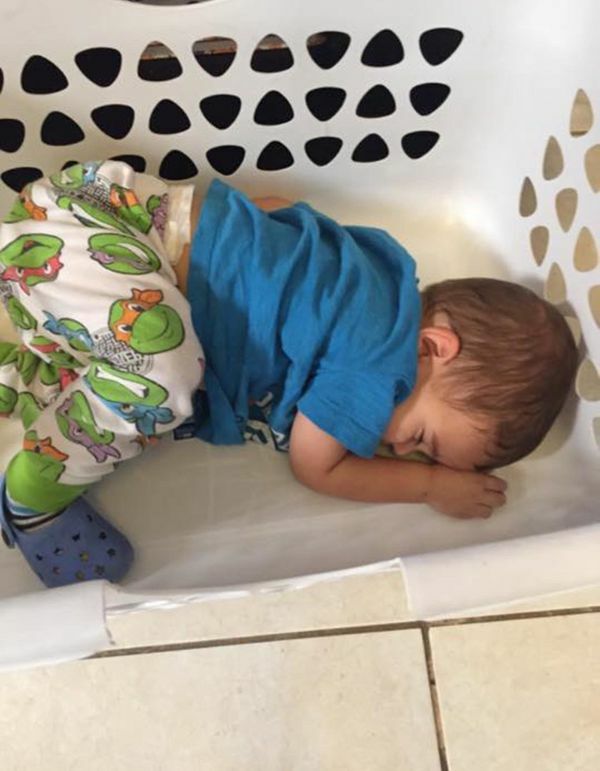 I was folding laundry, next thing I know he was sleeping. 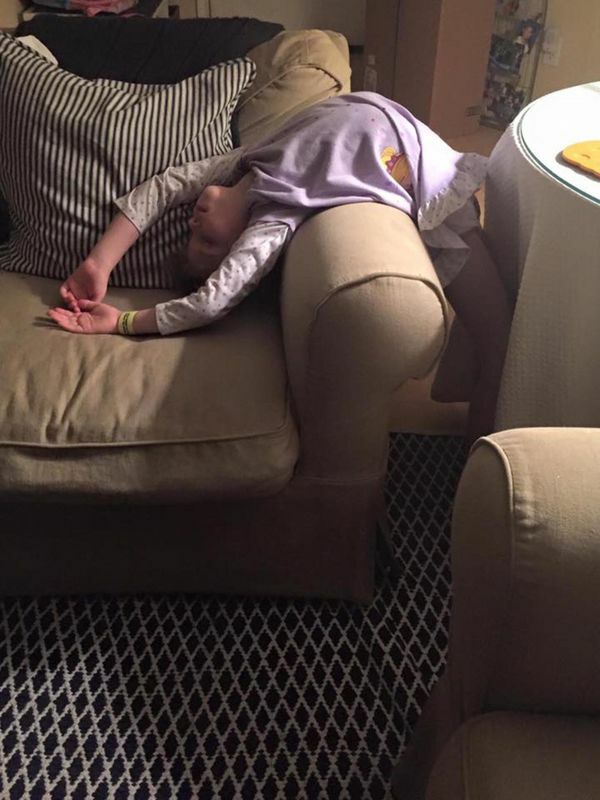 My daughter, Lucy, sleeps in the most bizarre positions! 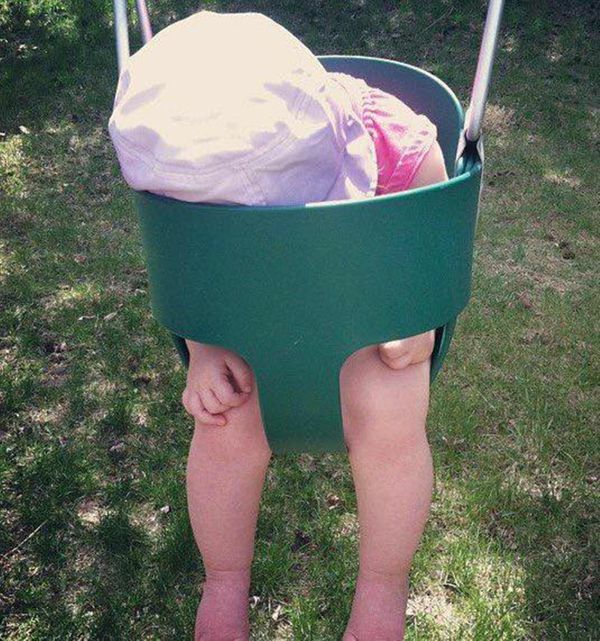 So much so, that my Facebook friends think I should make a book of all of her sleeping poses. 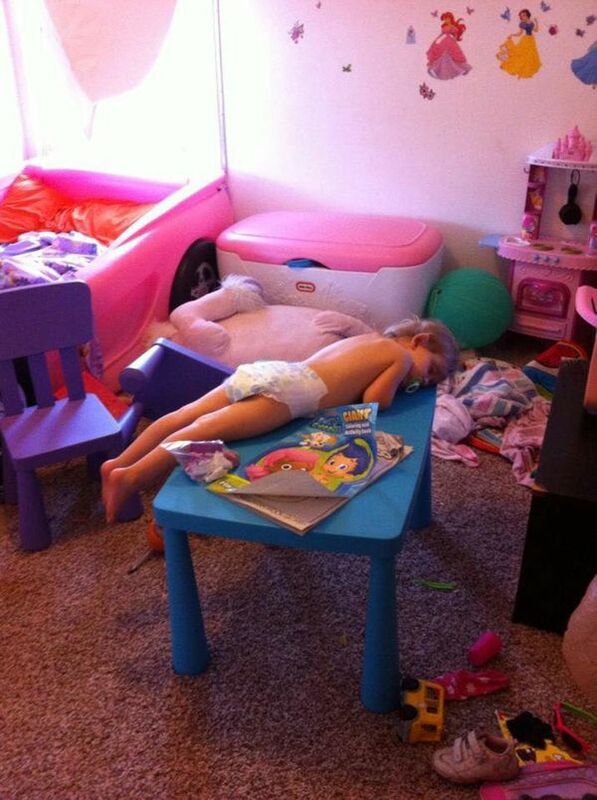 Here she is after sleep-walking into the living room, where she promptly fell back asleep like this! Is Your Pet A Hot Dog Or Cool Cat?